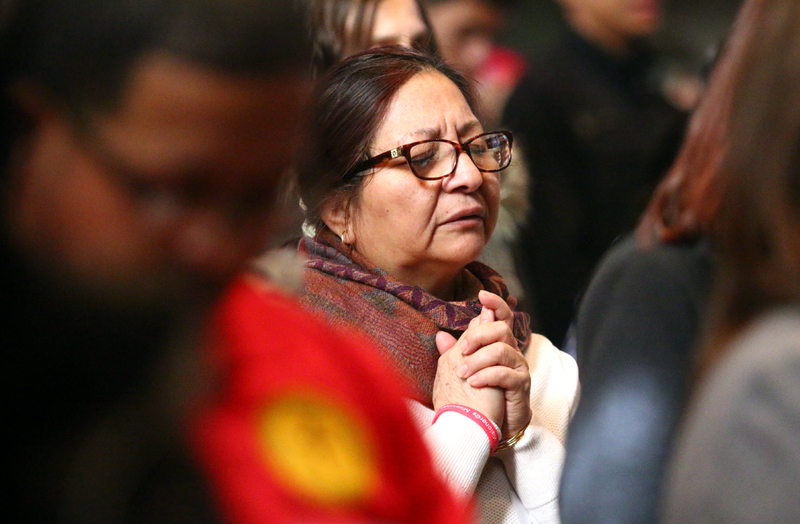 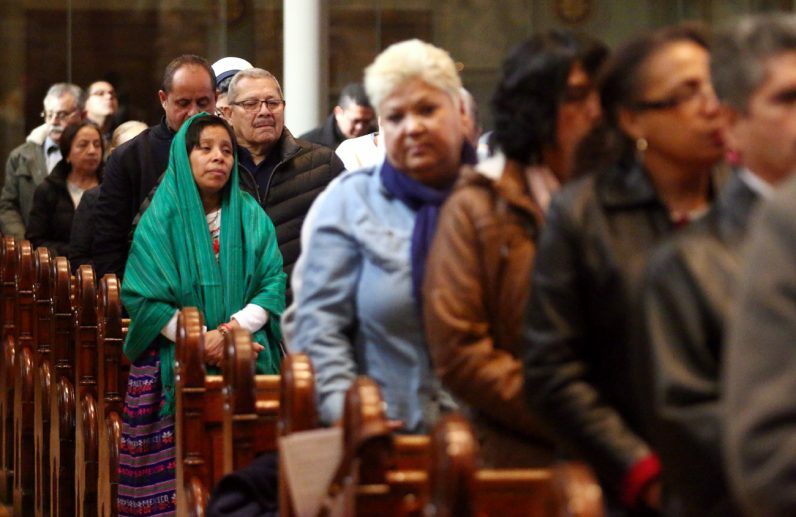 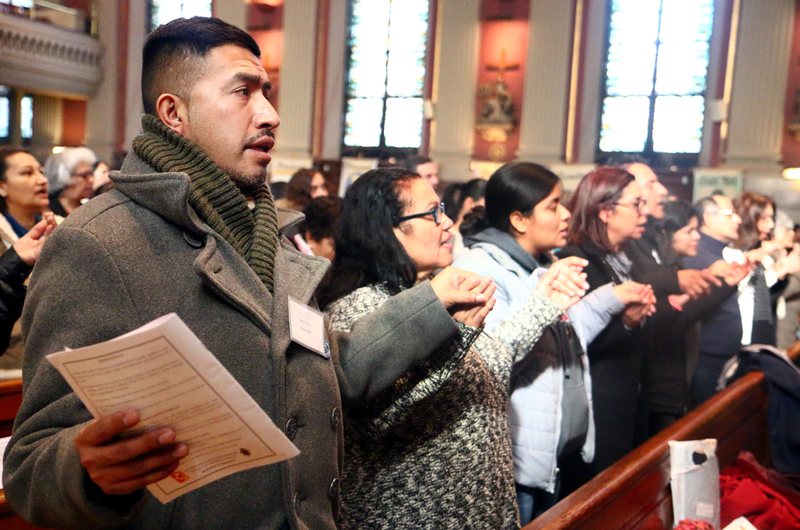 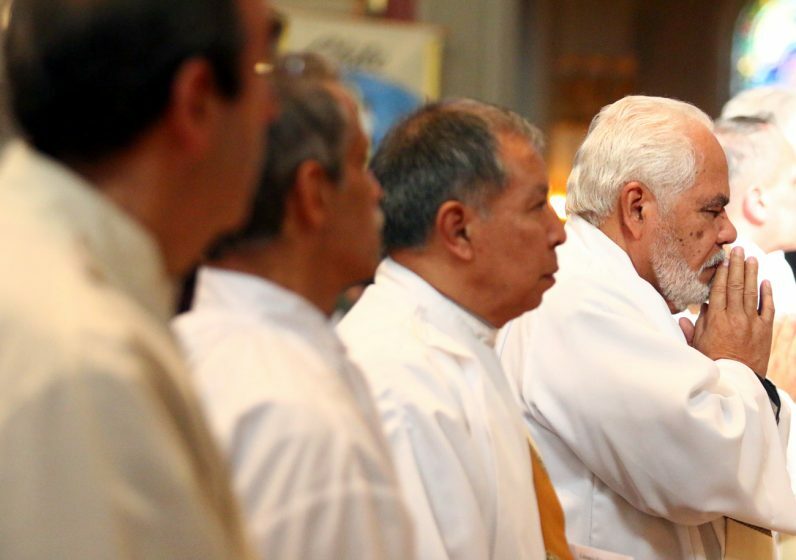 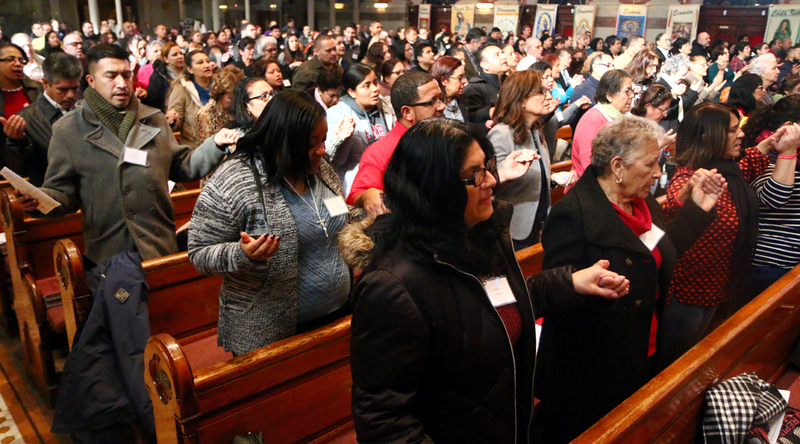 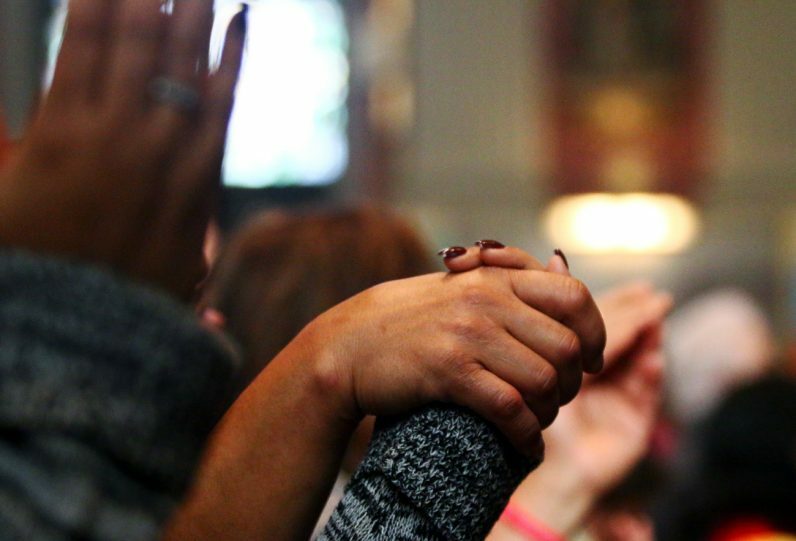 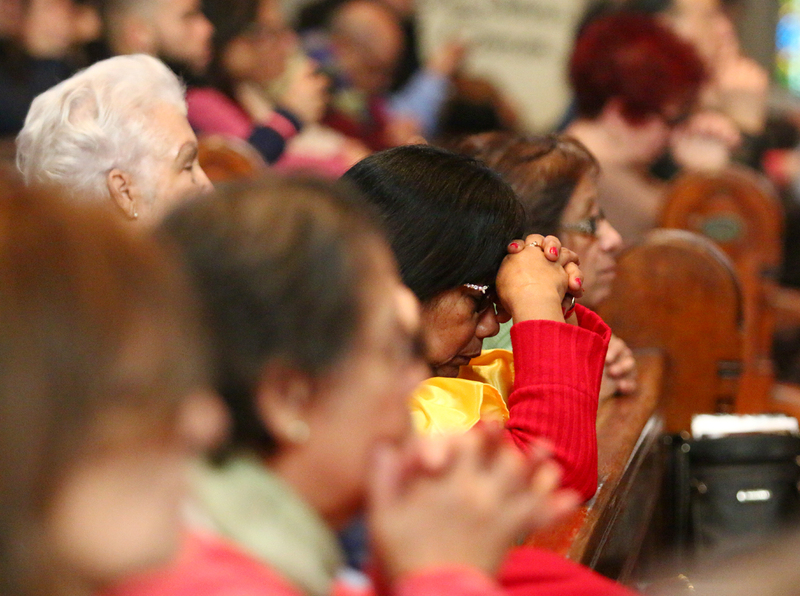 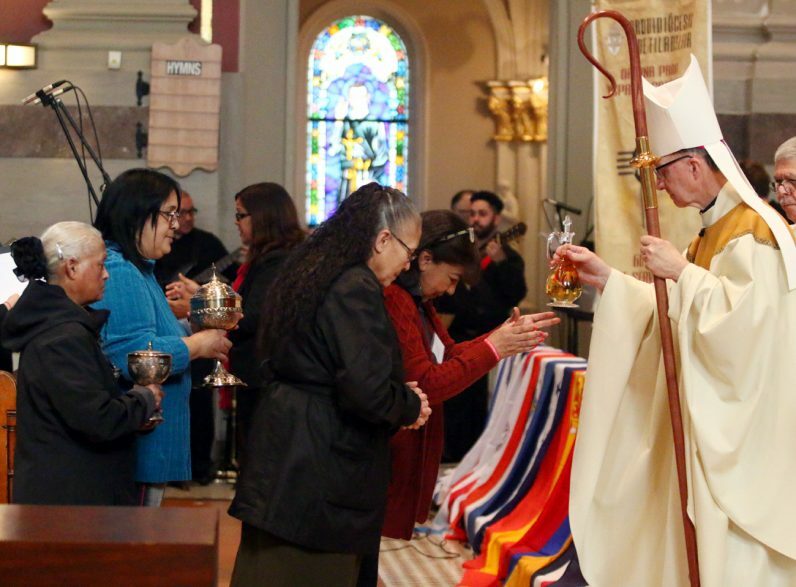 Deacon Jose Lozada of St. Veronica Parish in Philadelphia prays during the Mass Jan. 20 at St. Peter the Apostle Church, Philadelphia. 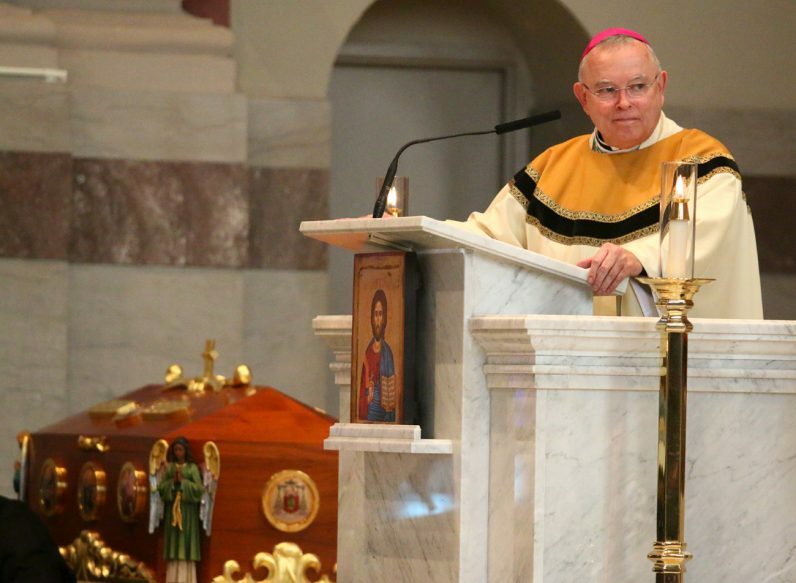 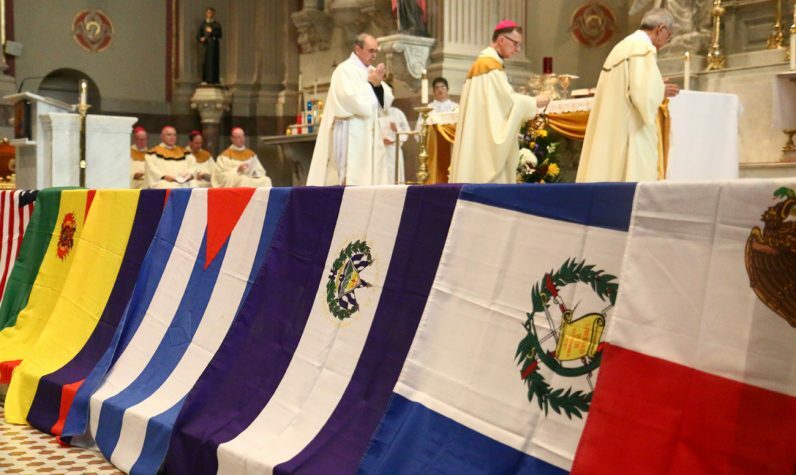 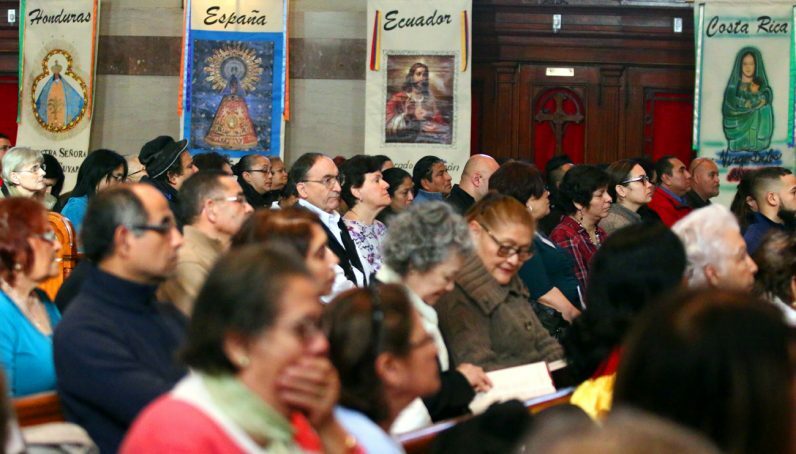 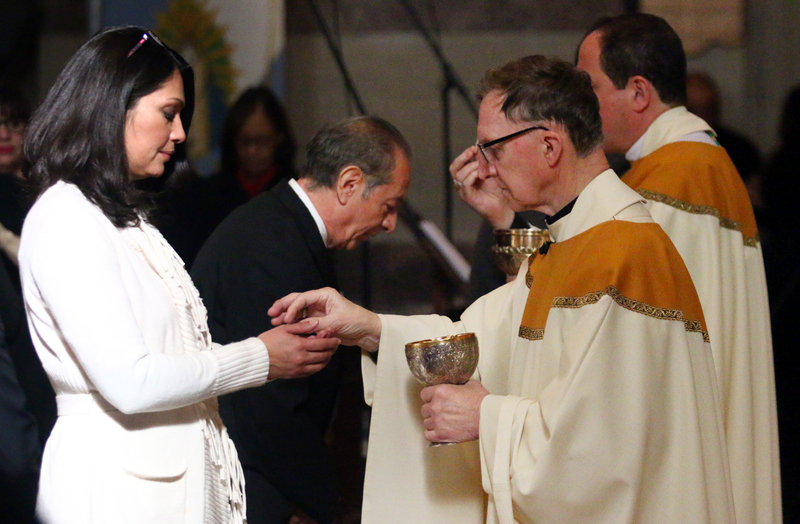 Archbishop Charles Chaput preaches the homily during Mass for participants at the V Encuentro day Jan. 20. 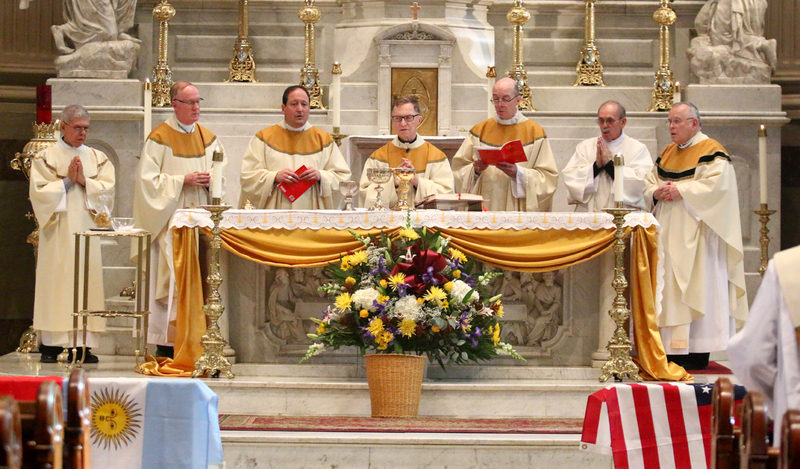 Auxiliary Bishop Edward Deliman receives the offertory gifts at Mass.